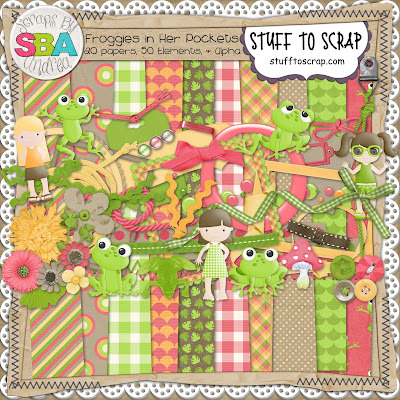 Scraps by Andrea has an adorable new kit called Froggies in Her Pocket. This kit was inspired by a need to match more of the pinks and greens to go with some of her little girl’s summer outfits. The frogs came into play when she pulled one of her little dresses out of the washing machine and found one of her big brother’s little plastic frogs in the pocket of it! 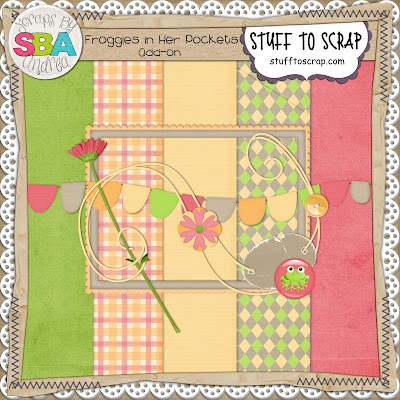 Filled with cute little frogs and adorable little girls, Froggies in Her Pockets is perfect for scrapping both tomboys and girly girls! There are 20 papers, 50 unique elements, and a full alpha included in this kit. There is an additional FREE add-on to use for the Use It or Lose It challenge this month. The full kit is on sale for $2.50. 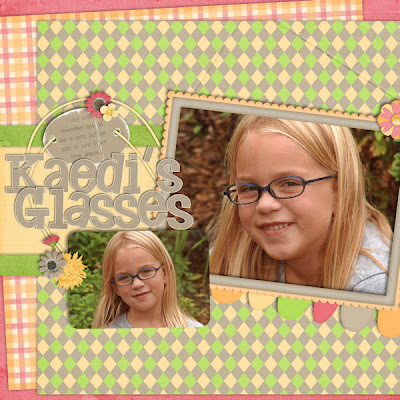 The layout below is of my best childhood friend's daughter, Miss Kaedi. I created this for the Use It or Lose It Challenge (using the add-on kit and a little from the main kit). 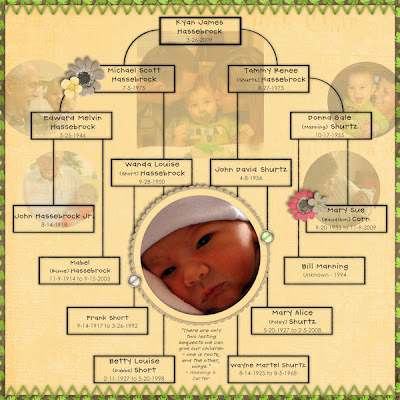 The layout below is from Kyan's baby book. I've been needing to update this page, so I can finish getting his book printed. I created this for the Scrap What? Challenge.